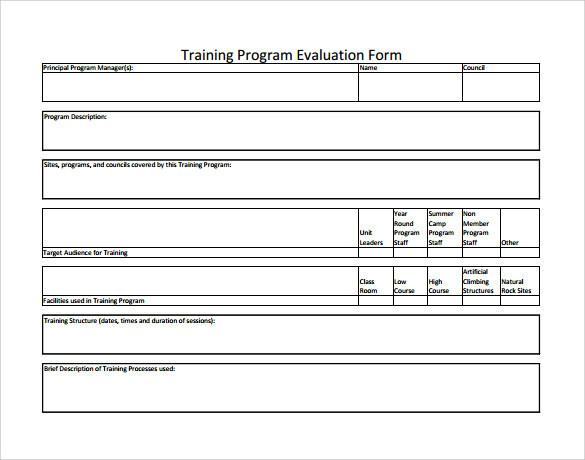 Training evaluation can be a hectic job if you have to create the forms and then put in all the info. It takes up a lot of useful time and leaves a lot of room for mistakes. 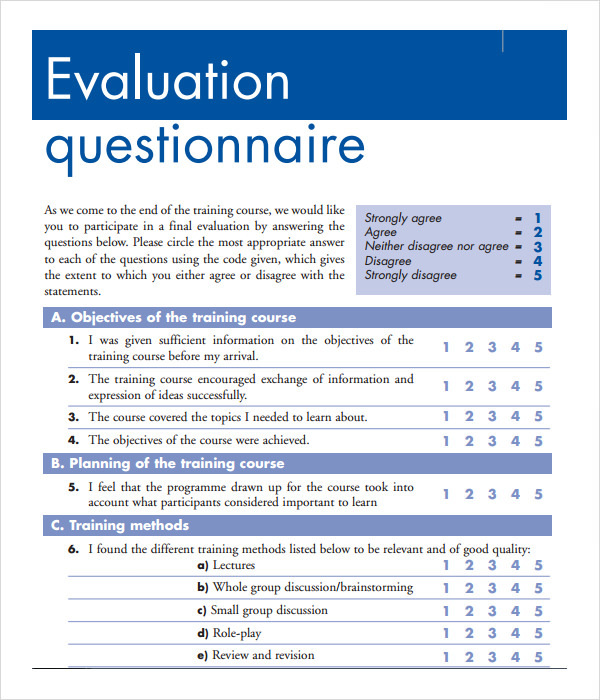 Instead of wasting your precious time you should simply check out our collection of training evaluation forms. 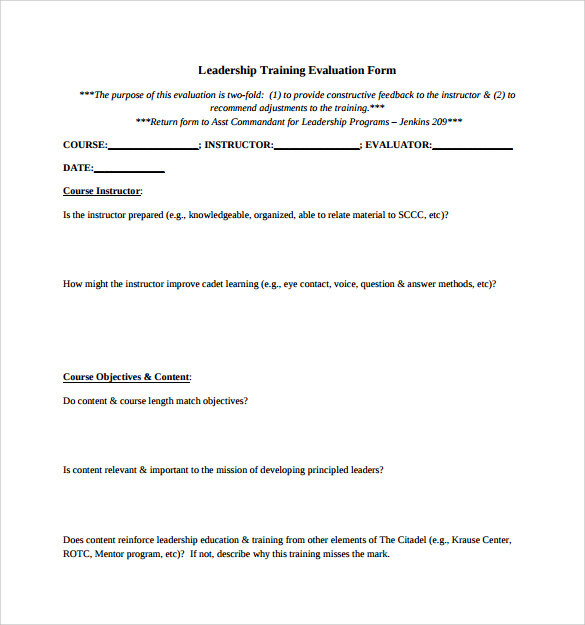 You can also use one of our employee and course evaluation templates. 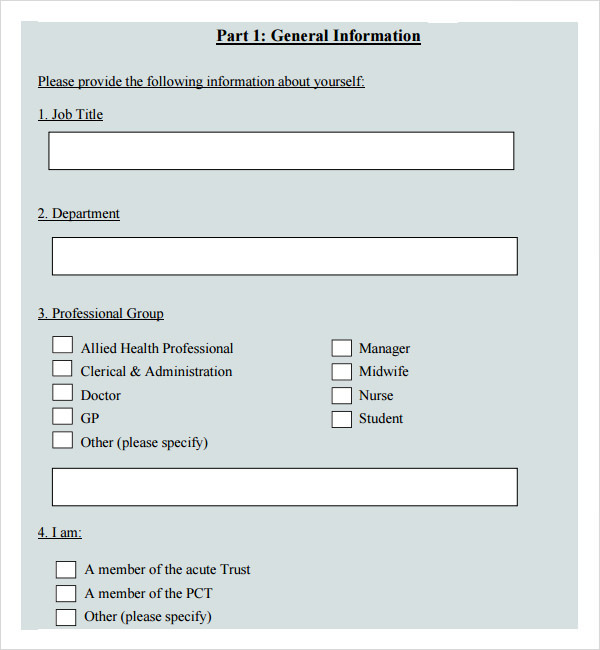 Did you know that all these forms are also absolutely free? 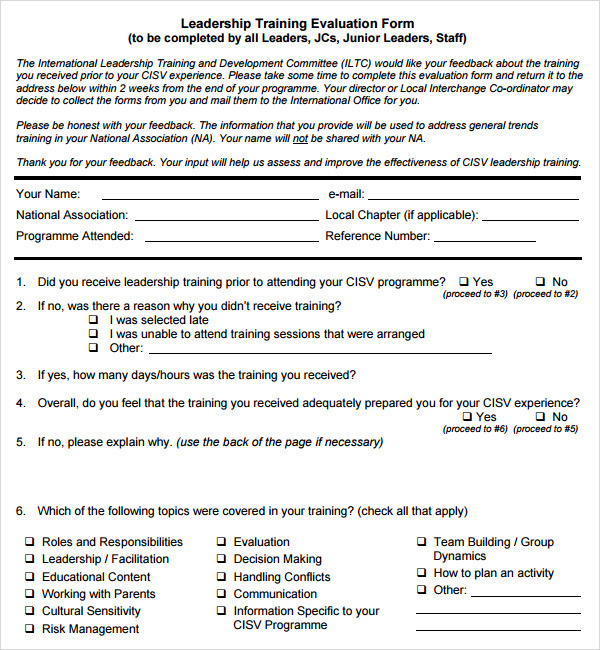 You can download one template a hundred times or download a hundred templates; we will not charge a penny. Even the subsequent editing and usage is free. They come in print ready formats. 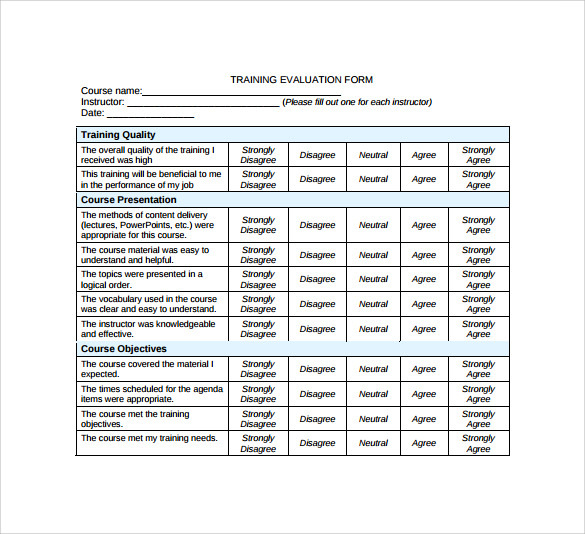 All of these premium Training evaluation form templates contain multiple editable fields. 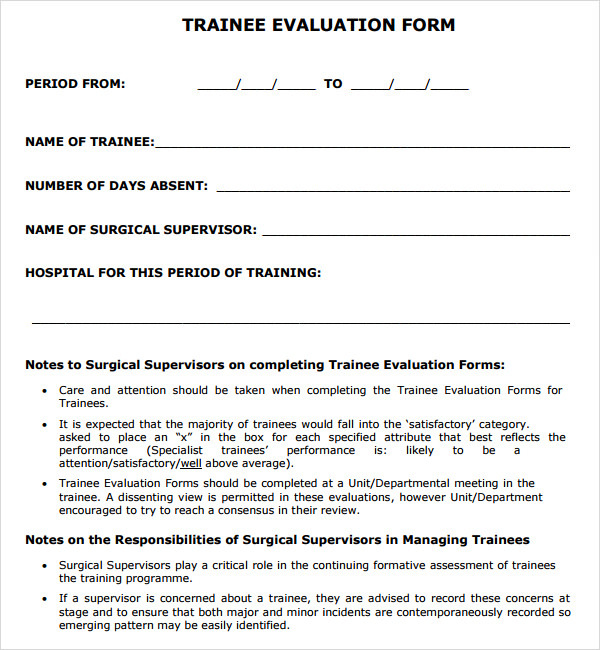 They are downloadable in the forms of excel sheets or word documents. This makes them extremely easy to use and edit. 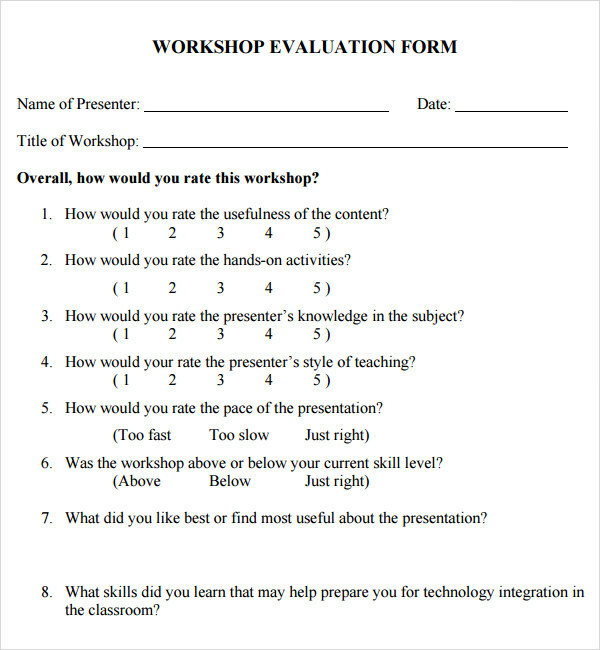 Any version of MS Office can be used while using these employee evaluation forms. 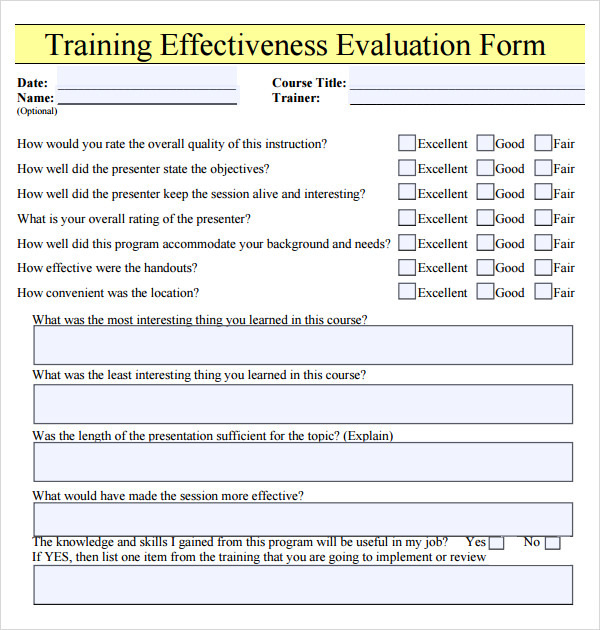 If your firm believes in Employee Review Templates , you can also download from our collection of employee self evaluation forms and mail them directly to the respective employees. 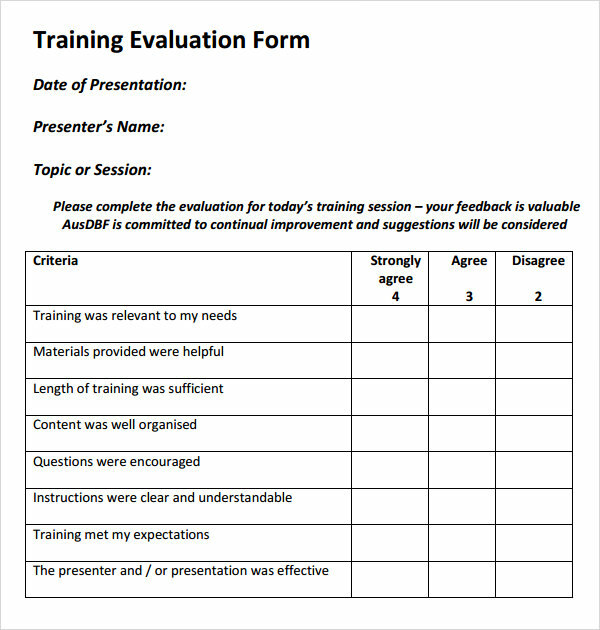 Not only are these templates meticulously made, they also contain demo content and examples to guide you through the form building process. All you need to do is change page dimensions, if you wish and set them for direct printing. 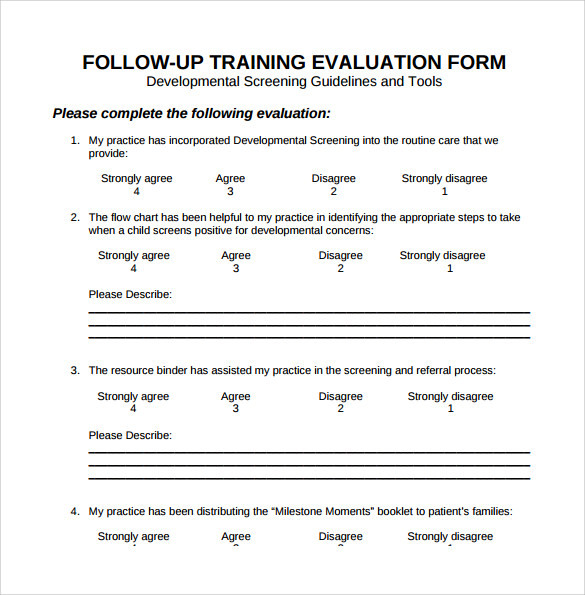 We also have color coded forms which make it easier for collective evaluation of all the forms. 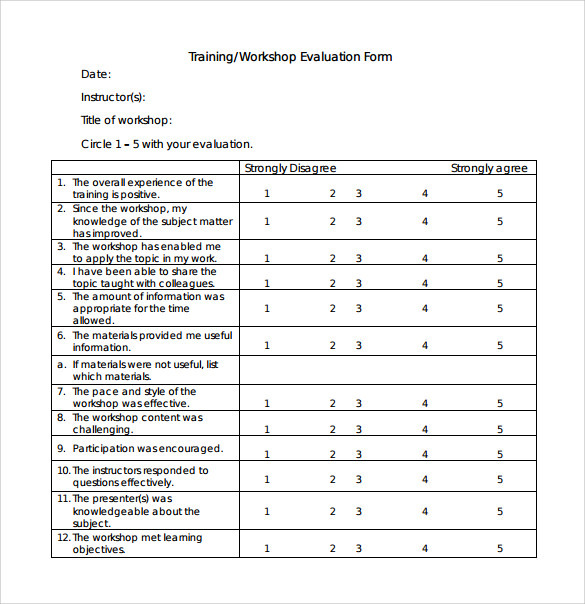 Best suited for corporate purposes, these training evaluation forms are frill-less and extremely easy to manipulate.You may also see program evaluation forms.